@zaharako, the projects for students at your school seem absolutely fantastic, I would love to be a young student right now with everything technology is capable of! I love how involved the students are in this library! 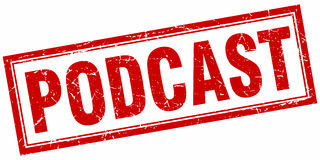 I’m curious to know how many students at the 5th-grade level are familiar with podcasts? Or is this a fairly new concept? I know the tech specialist at our school is currently working creating a podcast with the fifth graders. It would be a new project/collection/resource for the library, though. I think a lot of fourth and fifth graders would really enjoy just listening to podcasts, especially because many of them comprehend better when offered multiple resource formats. Setting up the podcasts to coincide with already existing units makes perfect sense and it seems like it would help them explore and connect with the material. It’s almost like a built-in programming schedule that will help students stay focused while also connecting all of the podcasts. Compiling them all into a community archive would be a great way to showcase their talent while also giving them opportunities to learn from each other. It’s also fascinating from a museum standpoint. I can’t imagine any worthwhile future historian who wouldn’t be excited about hearing the perspectives of children.